Staff at Cabarrus County EMS is available to speak with local groups and organizations to share information on a wide range of health topics. The goal of the program is to provide awareness and prevention of personal and public health issues facing the community. 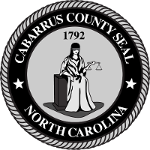 To arrange a speaker for your organization, contact Chris Love at 704-920-2611 or email cjlove@cabarruscounty.us.